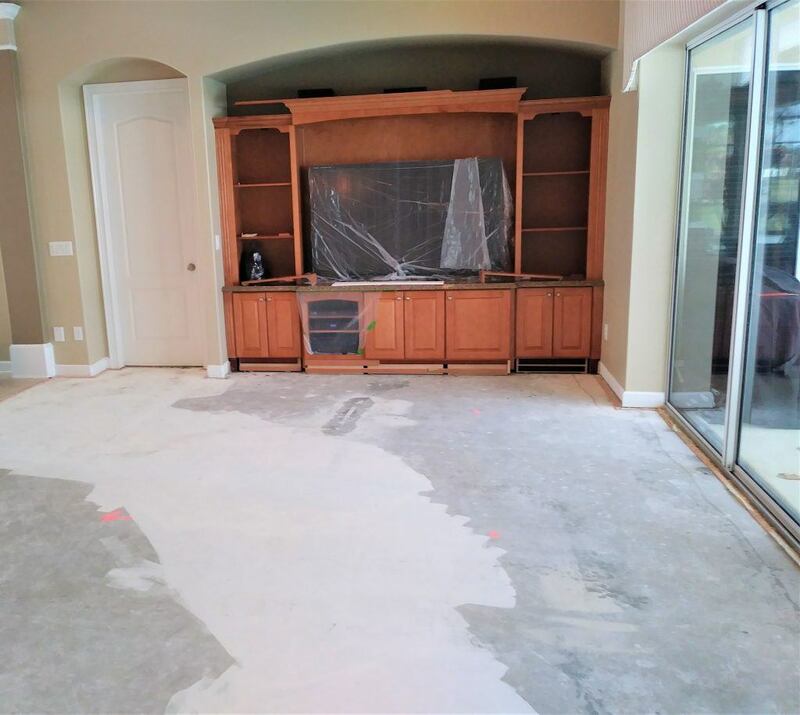 Central Florida Dust-Free Tile Removal has lots of experience with rescue projects. A good flooring installation is all about the preparation. Putting new flooring is an expensive project so you want it to last. The key is making sure your foundation is properly prepared for your flooring professional. The moment our team is done, your flooring professional can begin. What is Vapor Barrier and Crack Suppression Membrane? Vapor barrier is a layer of impermeable material, typically polyethylene sheeting laid on the top of concrete foundations to prevent moisture from coming through the slab and damaging flooring. 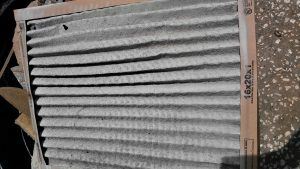 Rubberized vapor barrier is very difficult and labor intensive to remove, additional scraping and chipping is required. Crack Suppression Membrane is usually placed over cracks and/ or relief joints in a concrete slab. The membrane is used to prevent cracks in floor tile if the concrete slab continues to crack or move. Yes, tiles can still crack if movement in the slab is significant. Why is it so expensive to remove glue-down wood floor? Our process of removing glue-down wood flooring is done with hand powered tools, the process is labor intensive and our goal is to produce the possible results in floor preparation without damage to your home, walls and doors. 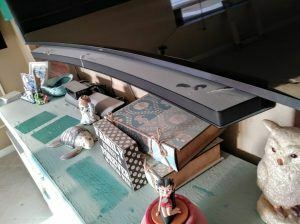 Glue/adhesive removal is labor intensive and is accomplished with custom designed blades attached to our containment vacuums. An average 300 square foot bedroom can take up to 8 – 12 hours. When our team is finished, our clients have a clean profiled floor. With no remnants of glue left behind, the floor is ready for any type of flooring to be installed. Why should I profile my floors? It’s all in the preparation. Paint and drywall compound are major contributing factors of hollow areas, loose tiles or wood planks. 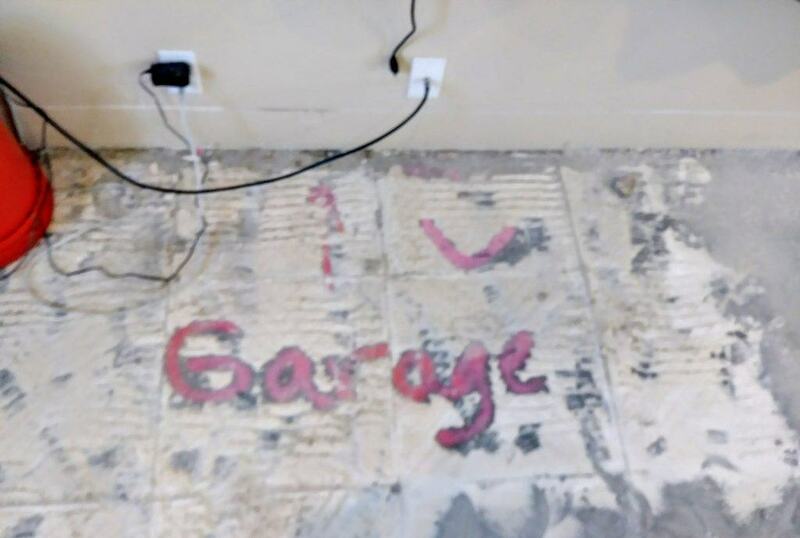 The picture below is an example of what we typically find under loose flooring. Concrete is porous, so whether it is thin-set for tile floors or adhesive for glue down floors, a profiled floor will always improve adhesion of new materials and produce a better-quality install.